The Turkish Journal of Entomology is a quarterly journal which has been published by Entomological Society. Turkish Journal of Entomology publishes original research articles in the fields of entomology and agricultural zoology in English. Authors whose native language is not English should have their paper edited professionally prior to submission. Before preparing the typescript for submission, examine the format of manuscripts already published in Turkish Journal of Entomology. 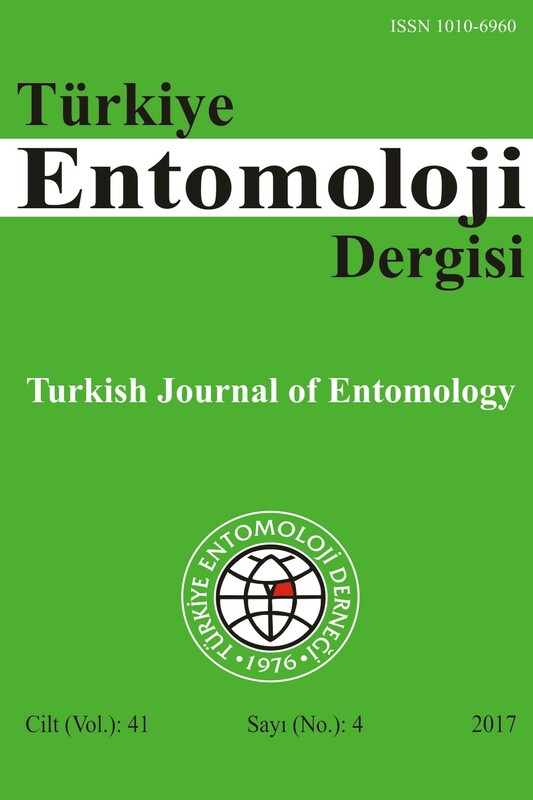 Submission of a manuscript to Turkish Journal of Entomology implies that it consists of unpublished new information and does not contain any material that has been published or is under review or consideration for publication elsewhere; and that it has been approved for submission by all of the authors. Abstracted/Indexed in Biological Abstracts, BIOSIS Previews, CAB Abstracts, FAO AGRIS, Global Health, Information Reference Library, Review of Agricultural Entomology, Science Citation Index - Expanded (SCI-E), SCOPUS/ELSEVIER, TÜBİTAK/ULAKBİM, VINITI, Zoological Record. Each author of the articles to be published in our journal should save their biography to https://orcid.org/signin website and upload the xxxx-xxxx-xxxx-xxxx (16 digit) ORCID ID number to the system. Already have a Username/Password for Turkish Journal of Entomology?